*Caprice is a party everyone is welcome to crash. It’s a come-as-you-are party, and the reader takes her lead from the hosts, two poets who bring their myriad, dynamic, intricate selves to the page every time. Nothing is wasted on them, no opportunity missed. They hang all the confessional and post-confessional crepe paper themselves. They put on the pointy hats of sorcery and self-deprecation. They cast spells and spill punch and laugh at themselves. They also turn ordinary noisemakers into instruments of rare, harmonious music. “Experimental harmony,” they called it in an interview. Yes! That’s it! Exactly! *Caprice makes me think about bisexuality in a different way. One poet (Duhamel) identifies as heterosexual, and one poet (Seaton) identifies as lesbian. Both identify as women, both identify as feminists, both identify as people and poets who believe in the fluidity of gender and genre, the irreducible complexity of personhood. 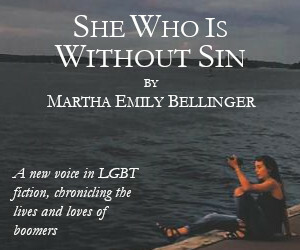 What happens when two people with different sexual orientations come together to write honestly—at great length and depth and over a quarter-century—about sexuality itself? In one interview included in this volume, the poets put it this way: “We’ve written along the sloppy tightrope of our sexual orientations and preferences, embraced the demands of long, passionate, and necessary friendship. And we’ve boiled our values down, if that’s possible or desirable, to: humor, love, and choice.” The art made from these values is hybrid, inclusive, embracing of contradiction. It could be called bi-sexual and/or bi-textual. As Duhamel and Seaton postulate and promise: “This is the world according to us: best friends and writing partners—one here, one here.” Here, here! *Why is this book called Caprice? 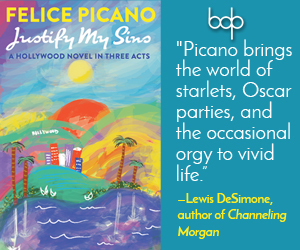 I like the sound of the word of course, and I appreciate that it rhymes with “Denise.” Perhaps the title should be Caprice and Sheen, so both poets hear echoes of their names, and we recognize both the volatile energy of the book and the shiny, flinty quality of the words. But I’m serious. It’s a whimsical name for a serious book, and a whimsical name for a whimsical book, too. The title of this collection, like the poems that comprise it, can be read as both authentic and ironic, sincere and subversive. After all, this book is nothing if not a binary-breaker, a deft and deliberate embrace of both/and/etcetera. 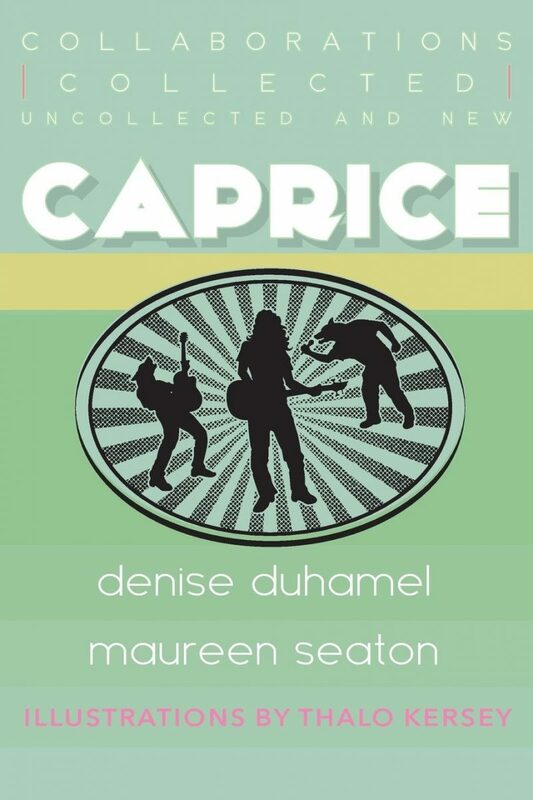 If caprice means “a sudden, unpredictable condition or change,” then the word would seem to contain its opposite. Reality, as we know it, is capricious, the unpredictable condition of the world. (See, in particular, “Ecofeminism in the Year 2000.”) But flight of fancy, height of hyperreality, spin and skid of surreality—any break with reality as we know it—is capricious, too. The status quo is caprice, and the status shift is caprice. All or nothing is really all and nothing, both at once. Is this a thesis? Is it mine, or is it theirs Both/and/etcetera? Take everything here with a grain of salt, but trust these speakers are the salt of the earth. (I do! I do!) The rock and the hard place, which is also a soft place, are both here. The devil, who is also an angel, and all the shallows in the perfect deep blue sea. Present, accounted for. But that’s the thing about Caprice, the culmination, the master-work-to-date: it’s so hardy and rollicking and wild and ubiquitous that no matter what you focus on, you’re leaving something out. You could do a catalog of forms represented here and be astonished simply by the range: litanies and interviews, pantoums and centos, cine-ekphrasis and meditation, sonnets galore. In the new section, the never-before-collected section, the hot-off-the-press, 2015 section (as in written this year!) titled with a line from one of Stacey Waite’s masterful poems—“Gender’s Tidy Little Stories About Itself”—all the poems are genres and sub-genres, all the poems are meta, all the poems are fusions of form and content, and all the poems are magic. There’s “Epic,” “Whodunit,” “Noir,” “Science Fiction, “War” (even the Table of Contents contains embedded rhyme! ), “Musical,” “Bildungsroman,” “Existential Fiction,” “Antinovel,” “Femslash,” “Ghost Story,” “Lyric Essay,” “Chick Lit,” “Textbook,” “Manifesto,” and much, much more. This book should come with a sticker on the cover that reads “200% more.” Everything is here, and everything, including the trouble on the page, which every writer needs (just ask John Dufresne! ), is doubled. Of course, this book is hyperbolic, these poems are larger than life. How else is the earnest reader likely to respond but in heartfelt superlatives? And what’s going to happen, I wonder, when you find out my long history of poetic adoration, my ten-year love affair with these mighty writers’ words? I might as well tell you myself. Remember that book you read once upon a time that changed your life, that put you on a new path (caprice!) or reassured you that the path you were on was right (caprice!) or both/and/etcetera? Well, for me, that book was Queen for a Day: Selected and New Poems by Denise Duhamel, and that book was Venus Examines Her Breast by Maureen Seaton, and that book was Exquisite Politics by Denise Duhamel and Maureen Seaton, the first collaborative volume of anything I ever read. Denise wrote “When I Was a Lesbian” before I was a lesbian, and Maureen wrote “When I Was Straight” (and more than once!) before I knew I could be otherwise. I mean that both ways: before I knew I could be other, before I knew I could be wise. These were the poets who taught me about parsing language, about looking closer at the story buried under the words. sweep up my life and start fresh. I have warrior work to do, silvery plans. and went ahead, up ladders, over rooftops, and look where I am. anyone ever put inside me. when the next poem pedals wildly toward you. Later, when I read the Aeneid, I found I liked it. Yes, it was sometimes difficult, but I never found it miserable, and I was especially enamored of Book Six, the journey through the underworld. We must have been looking very grim in class one day, so the professor said, “Has anyone ever told you about the Virgil Lottery?” This is true, she really asked us this, but I can’t find a single reference to the Virgil lottery no matter how carefully I refine my Google search. You flip the book open wide and close your eyes and let your finger fall where it may. When you open your eyes, whatever you read, that’s your fortune. This is true. I tried it. My finger landed in Book Six, on the words that became the epigraph to my own first collection of poems: “Each of us must suffer his own demanding ghost.” Yes! I thought. That’s it! Exactly. Has anyone ever told you about the Caprice Lottery, the Duhamel-Seaton wild roulette of fortune? Probably not, since I just made it up, but I think the analogy to Virgil is apropos. Read the book, dog-ear the pages, then toss it “like a giant salad in a tea cup.” You know how. I told you this book is magic. I told you these poets cast spells. (See, in particular, “Crashing Witch.”) Have fun with my extra credit assignment. Unlike the Bechdel test, this is one you cannot fail. Jackpot! And so it is. And so they do. And so I shall do, too—blissing my way forward, blissing my way back.